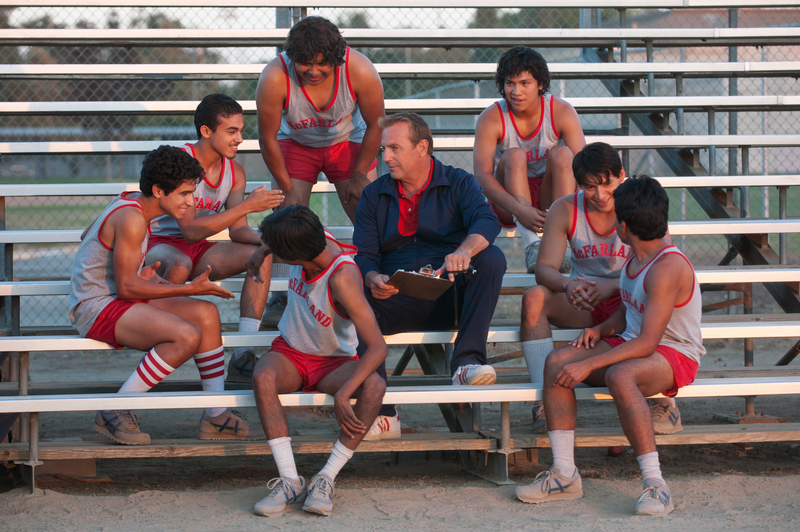 (l-r) Johnny Sameniego (Hector Duran), Victor Puentes (Sergio Avelar), Damacio Diaz (Michael Aguero), Danny Diaz (Ramiro Rodriguez), Coach Jim White (Kevin Costner), Jose Cardenas (Johnny Ortiz), Thomas Valles (Carlos Pratts) and David Diaz (Rafael Martinez) in MCFARLAND, USA. ©Disney Enterprises. CR: Ron Phillips. 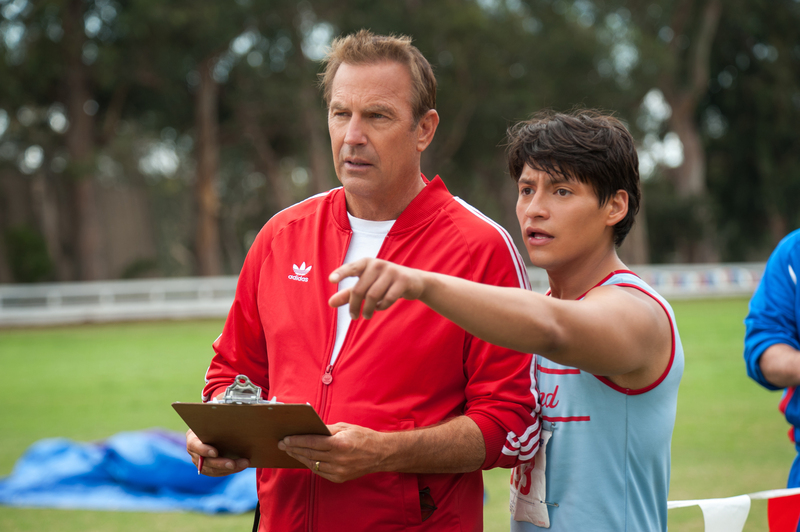 Kevin Costner stars as Coach Jim White in McFARLAND, USA. ©Disney Enterprises. (l-r) Coach Jim White (Kevin Costner) and Thomas Valles (Carlos Pratts) in MCFARLAND, USA. ©Disney Enterprises. CR: Ron Phillips. (l-r) Maria Bello and Kevin Costner star in MCFARLAND, USA. ©Disney Enterprises. CR: Ron Phillips.